In 1815 Adolph Lange was born. In his mid teens he became an apprentice watchmaker under the teaching of Friedrich Gutkaes. In Dresden where the workshop was based, high quality and complex timepieces were made for notable figures in society. After Adolph Lange completed his apprenticeship he works with Gutkaes for another two years before leaving to expand and build on his experience. Adolph Lange travelled around Europe working with some of the most skilled Chronometer makers of the time. After some time in 1845 Lange returned to Dresden where he once again worked with Gutkaes, only this time he was a partner in the factory and the creative genius behind the timepieces being created there. A most notable project of Lange’s at the time was the five minute clock he created for the Semper Opera in Dresden. In 1845 Lange decided to go it alone and in this time he opened his own workshop near Dresden which became immediately recognised for its skill and innovation in watch making. Adolph Lange was a pioneer of many innovations in watch making. Prior to the end of the 18th century lignes was the primary unit of measurement in watch making, Lange changed all this when he introduced the millimetre as the primary unit of measurement. Another innovative feature he introduced was the three quarter plate, this essentially was a process to remove part of the back plate to allow room for the balance and thus make a thinner movement and watch size. Adolph Lange had two sons named Richard and Emil; they both joined the company and in turn assumed full control both in the technical and commercial aspects of the company, this was a short time before the unexpected death of Adolph Lange. 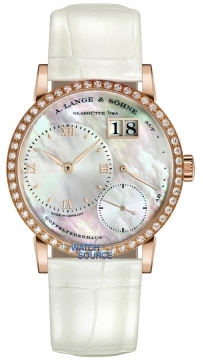 During 1868 the company was renamed A. Lange & Sohne, a name that the company still carriers to this day. 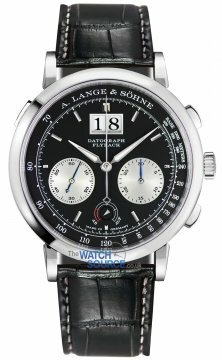 The A. Lange and Sohne company has a rich history tied to many major events, such as producing wristwatches for German airmen in World War II. 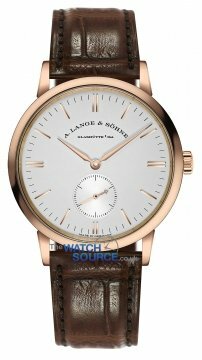 The A. Lange and Sohne brand suffered greatly however when after World War II when the post war soviet administration in Germany essentially shut down the brand and company. 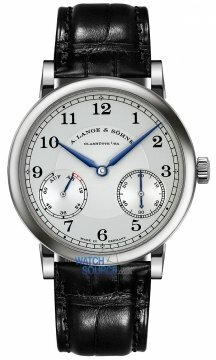 Lange and Sohne ceased to exist for over 40 years. However in 1990 the company came back to life and in 1994 it produced its first range of watches for many decades reclaiming its status as a major player in the horology industry. Once again the company was under the control of a member of the Lange family, this time the founder’s great grandson, Walter Lange. Its new range of timepieces including the Lange 1, Richard Lange, and Langematik perpetual watches earned a huge amount of respect within the industry. The A. Lange and Sohne company today is part of the Richemont group and continues to go from strength to strength.